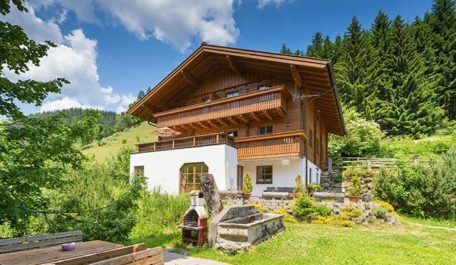 Experience the beauty of nature and spend a carefree farm holiday with us in Salzburger Land. Here, between Radstadt and Forstau, you will discover well-earned relaxation and recreation, surrounded by meadows, fields and mountains. Select from stylishly furnished holiday apartments for 2 to 6 people in our newly renovated farmhouse or at our Hacklgut holiday cottage. 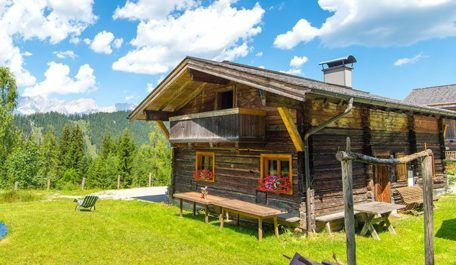 The rustic Steinwandalm hut at 1200 m above sea level invites you to spend an unforgettable, independent vacation amid Salzburg’s alpine pastures. Many fun- and excitement-filled holiday experiences await children and parents during this farm holiday in Radstadt: enjoy the animals up-close, lend a hand around the farm,… We couldn’t be more delighted to have been flower-rated by the region’s Farm Holidays association, and look forward to giving you a thorough-going pampering during your summer- or skiing holiday. Farm holidays are a wonderful experience, especially for youngsters: lots of livestock and farm animals to pet, nature to explore, a big playground, garden with swimming pond, organized guest activities and much more. Take an active part in life around the farm, get to know what our daily routine is like in nature and with all the animals. A colorful program awaits our guests: from horseback rides to lending a hand in the barn. The region in and around Radstadt and Forstau in Salzburger Land has something perfect in store no matter what your taste in holidays: Our organic farm is your ideal base for beautiful hikes to our own Steinwandalm, to other huts and blue alpine lakes in the Radstädter Tauern and Dachstein mountains. During a summer vacation, bike rides are a wonderful way to explore the countryside, while swimming pools and other recreational attractions are within quick, easy reach. 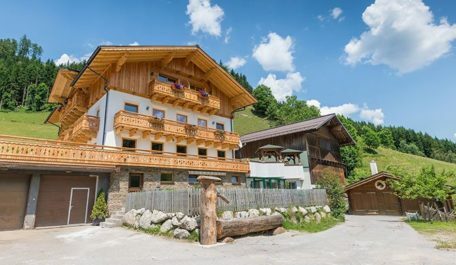 In winter, you will be staying in the heart of the Ski amadé ski alliance and close to the Obertauern ski area – the stop for the ski bus serving the Fageralm and Reiteralm stands right in front of the Hinterfischbachhof.